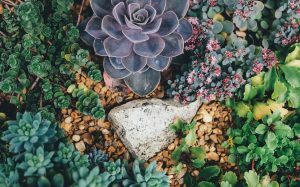 Succulent Show at Menlo Park 9-14 April - Entrace FREE! RAW – new combo packs! M-PAK range – now available at GardenShop stores! Sweet Pea, Sweet Pea – Will you Marry Me? GardenShop is more than a nursery. Step into a sanctuary filled with gardening inspiration, garden ideas, indigenous and flowering plants, plus a wide selection of on-trend flower pots, top quality bird feeders, exquisite patio furniture and classic garden décor. Transform your indoor living space into a green oasis filled with luscious indoor plants, paired with stylish indoor pots and beautiful containers. Free deliveries for online orders over R1000. GardenShop Broadacres store pick up available. We deliver live plants to Gauteng areas using our own vehicles. Non-living goods can be delivered nationally using external couriers.